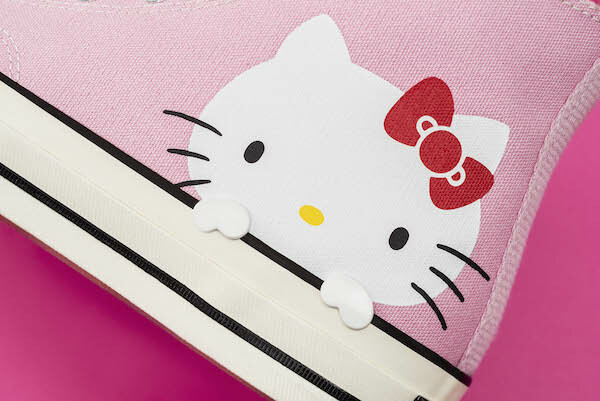 Finders keepers: Hello Kitty x Converse. 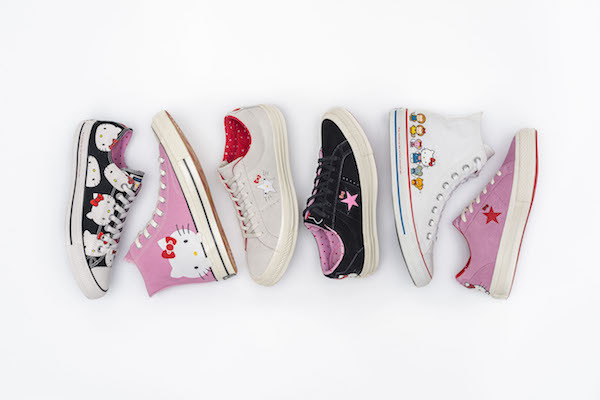 Converse have announced a collaboration with Hello Kitty, including new sneakers, apparel and accessories, which will be available from Thursday, August 16th, in New Zealand - exclusive to www.converse.com.au, Converse Sylvia Park, Converse St Luke’s, Converse Manukau, and Pat Menzies Shoes. - Chuck Taylor All Star Hi – the original basketball sneaker, the Chuck Taylor All Star became a cultural icon - allowing for millions of individuals to tell their own story and reflect their personal style. 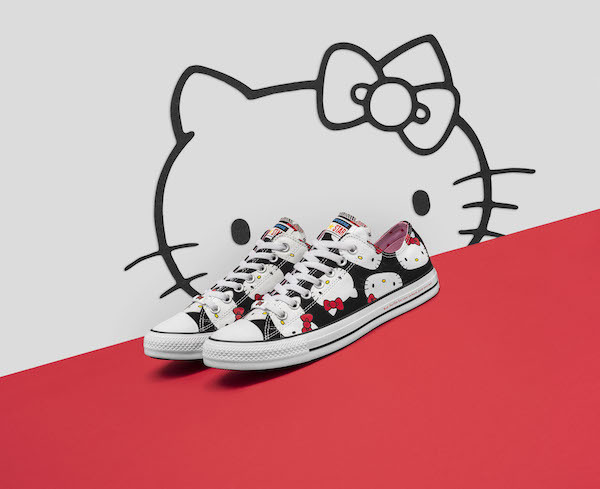 With Hello Kitty, we see another global symbol of self-expression take on the silhouette in a fresh way. 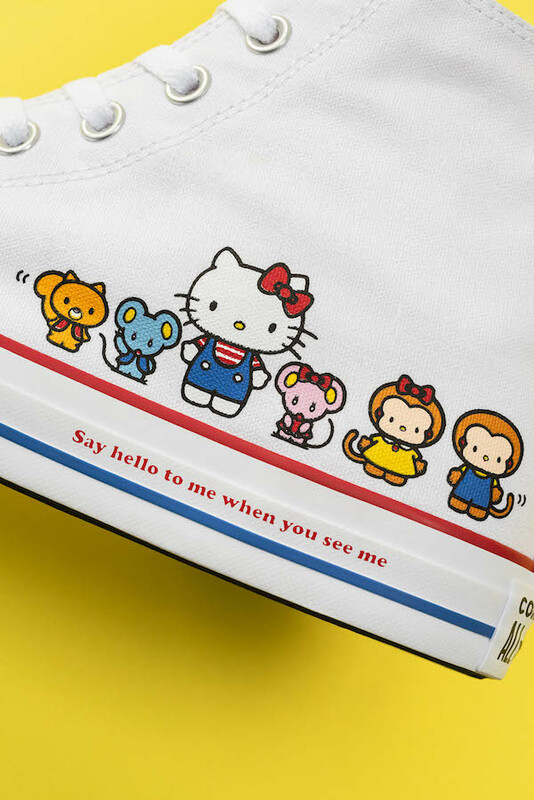 Features include screen printed Hello Kitty and friends embellish the canvas upper with a peek-a-boo Hello Kitty on sneaker tongue; and “say hello to me when you see me” messaging printed on foxing tape. 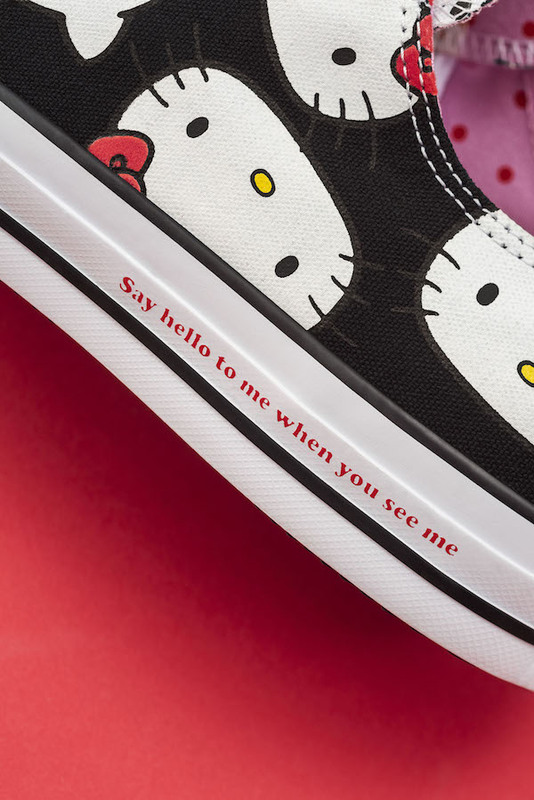 - Chuck Taylor All Star OX – features a repeat pattern Hello Kitty face print with flocked bows and “say hello to me when you see me” messaging printed on foxing tape. - Chuck 70 Hi – The Chuck 70 is a modern ode to Chuck Taylor All Star, celebrating a time when the sneaker had evolved to become the pinnacle of function and utility for sport. 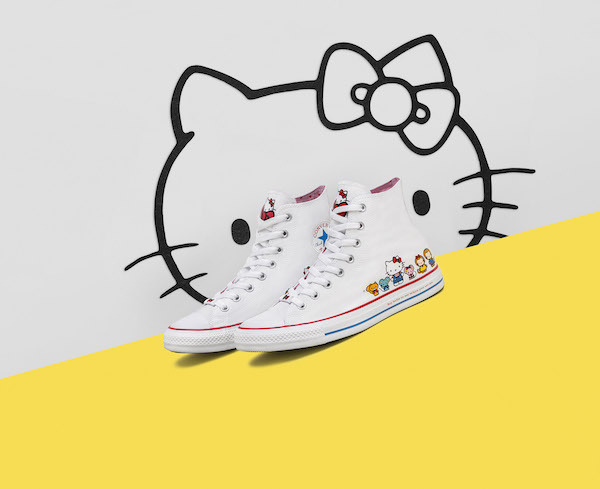 The refined high top features a screen printed Hello Kitty face on the canvas upper, as well as Hello Kitty bow graphic on toe cap and clear outsole with repeat bow print. 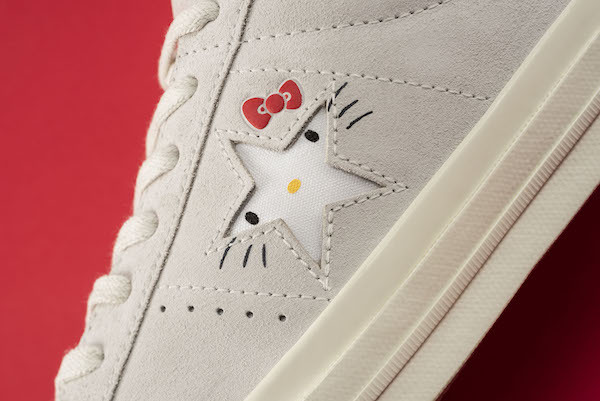 - One Star OX – On the suede upper of the One Star, Hello Kitty offers a different feel — applying a peek-a-boo approach whereby iconic elements of Hello Kitty appear within the key visual features of the One Star. 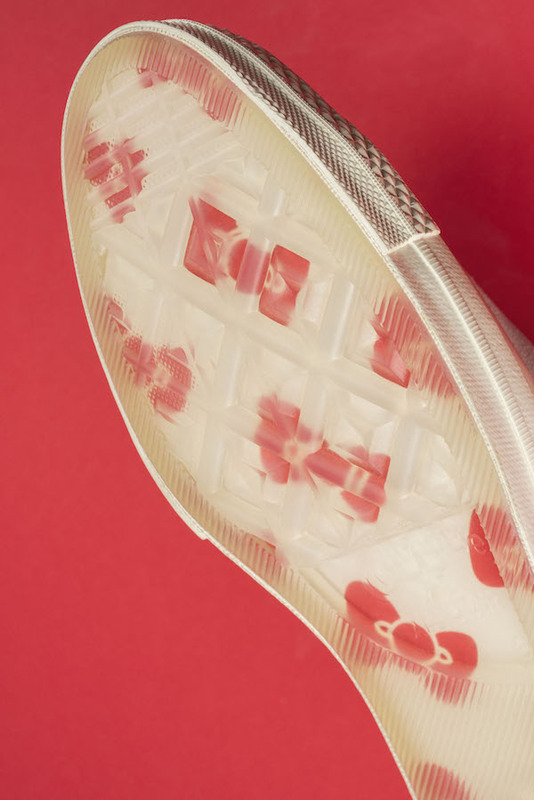 Features include bow & whisker’ printing, debossed puff print bow detail and clear outsole with repeat bow print. 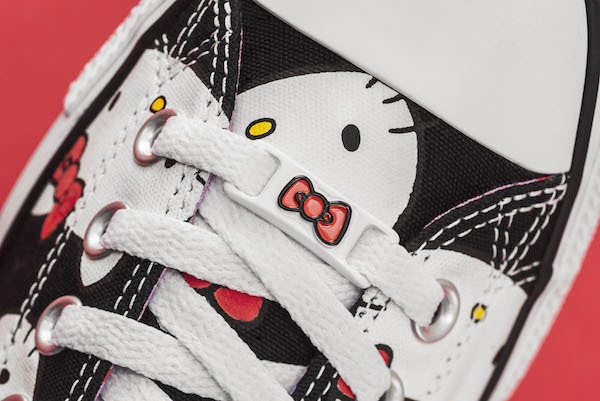 For the little ones; velcro straps, debossed puff print bow, and Hello Kitty head outline on the tongue. 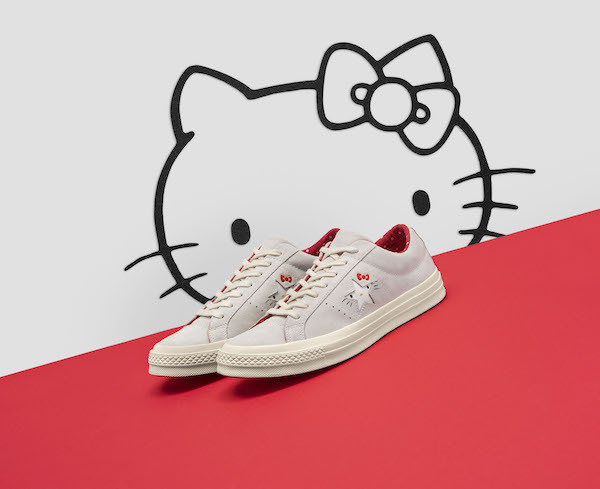 Highlights from the Hello Kitty x Converse apparel collection include the white and red short sleeve Football Tee with the Hello Kitty Converse graphics on the left chest and red bow on the sleeve; the black Pullover Hoodie with Hello Kitty chenille patch resting on top of a kanga pocket, an oversized bow on the hood and Hello Kitty printed down the sleeve. Accessories include a Phone Pouch for any size phone, with detachable Hello Kitty pins; Mini Duffle Bag in an all over Hello Kitty print and black/red polka dot Cross Body Bag with Hello Kitty accents." 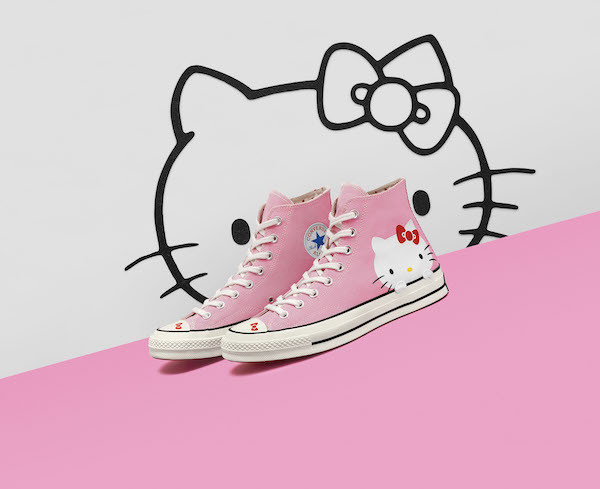 The Hello Kitty x Converse sneaker collection will begin at RRP $90 for infants and $120 for adults; with sportswear and accessories starting at RRP $55 for the Cross Body Bag to $110 for the Pullover Hoodie. FashionConverse announce Looney Tunes collection. MusicInterview: Paige x Converse One Star. 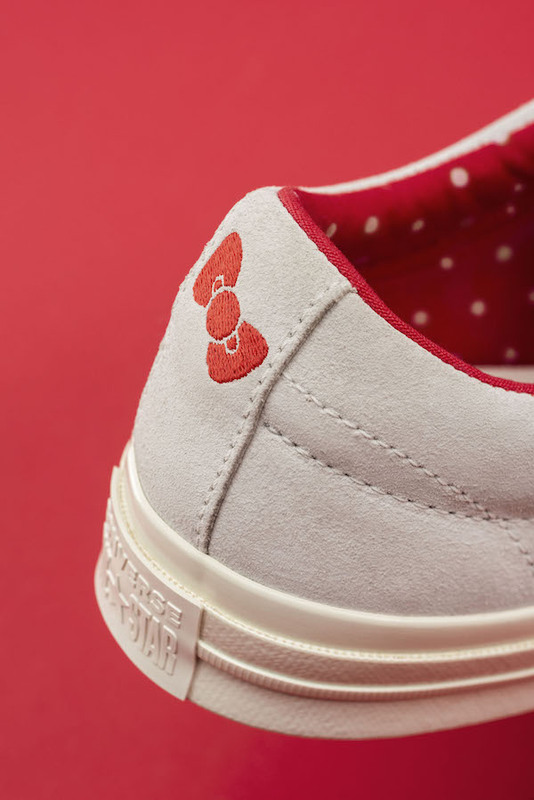 MusicTyler, The Creator's new Golf Le Fleur* One Stars are out today!